The League would like to thank Simon Parsonage & FLOWFIT for their kind generosity in sponsoring the league and agreeing an extension to sponsor the league again in 2019. 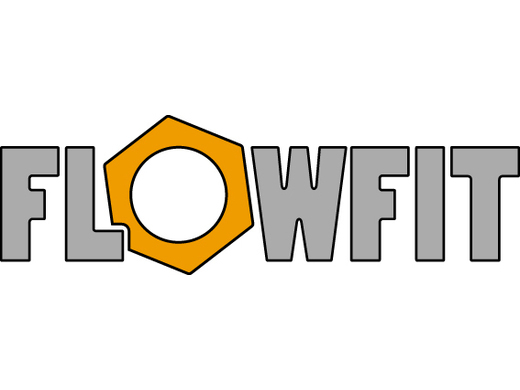 FLOWFIT, the sponsors of Ludlow & District Bowls League are a leading worldwide supplier of Hydraulic Components. The catalogue can be downloaded from the website at www.flowfitonline.com , Call in to the showroom in Parys Road, Ludlow or give Simon a call on 01584 876033. Unfortunately Bylet have resigned from the league due to a lack of players. Therefore we now have a much reduced season. The League will kick off on Thursday 11th April with the 1st Round Handicap being played on Thursday 25th April. Thursday 30th May will be a "free/holiday" week. The quarter finals of the Knockout Cup will be played on Thursday 1st August. Thursday 29th August will also be a "free/holiday" week where any cancelled games can be re-arranged before the end of the season. The League season will conclude on Thursday 5th September but for those teams still in the Handicap Cup, the season will be extended into the following two weeks as detailed below. Handicap Cup Finals - Due to the resignation of Bylet from the league, resulting in a now shorter League Season,it has been decided to play the semis & Final of the Knockout Cup on Thursday 12th & 19th of September to extend the season for those teams still involved. Handicaps for round 1 and Quarter Finals will be from last season. Handicaps for the semis & Final will be from the current season. The 2019 Fixtures are now available in the results website! It has been agreed to enter teams in the Junior, Senior & Veterans inter-League competitions. Anyone wishing to be considered for any of these teams should contact the league Secretary or the team captains as follows to express an interest. Please also sign up to receive e-mail updates from this website. Every time the website is updated with a news item you will receive a notification direct to your e-mail inbox with a link back to this site. You will see a box on the right of each page with a "Bell" in it and the words "Never miss an update" and "follow the website now". Just click on that link and create an account. We currently only have FIVE followers but have nearly 200 players in our league so please sign up to receive future updates!